Delivery Doors. I mage taken in Ping Yao ancient City, Shanxi Province China. 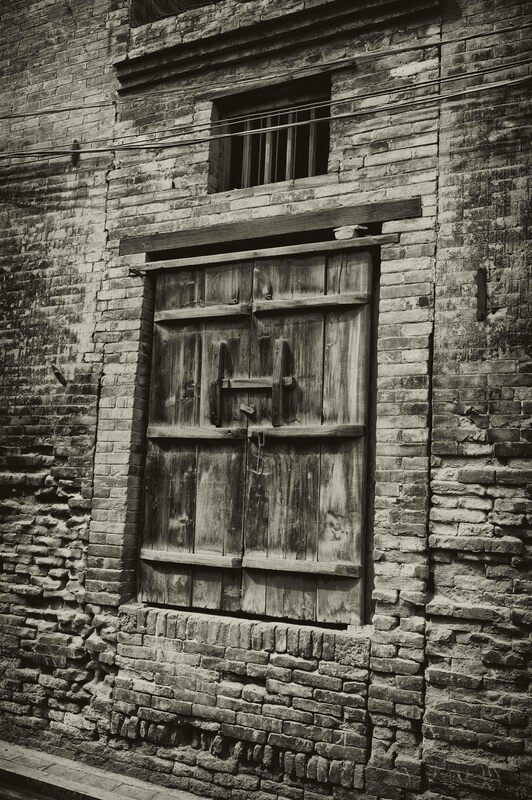 These doors and outer walls must be five or 600 years old at least. Ping Yao city dates back 2,700 years and the majority of the houses here withing the city walls must date back to early Ming Dynasty judging by the building style. The Ming Dynasty, also Empire of the Great Ming, was the ruling dynasty of China from 1368 to 1644, following the collapse of the Mongol-led Yuan Dynasty. The Ming, described by some as “one of the greatest eras of orderly government and social stability in human history”, was the last dynasty in China ruled by ethnic Han Chinese. Although the Ming capital Beijing fell in 1644 to a rebellion led by Li Zicheng (who established the Shun Dynasty, soon replaced by the Manchu-led Qing Dynasty), regimes loyal to the Ming throne — collectively called the Southern Ming — survived until 1662.